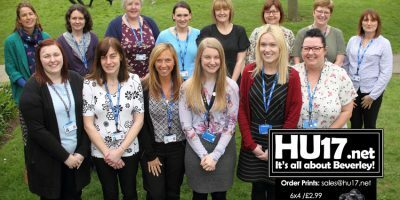 St Mary's Primary School Archives | HU17.net – It’s all about Beverley! 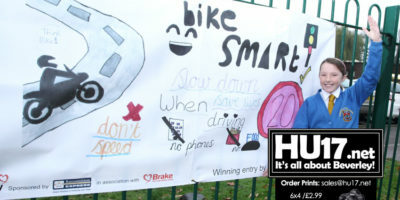 St Mary’s Primary School in Beverley has been pushing the Bike Smart message to students as part Road Safety Week. 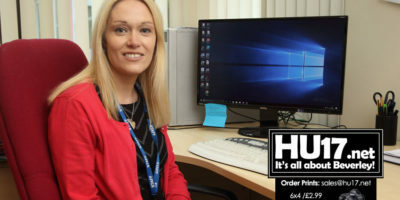 Road Safety Coordinator at St Mary’s School, Wendy Copley says the week as part of their ongoing commitment to promoting road safety in the school. Schools Minister Nick Gibb has written to St Mary’s CE Primary School to offer his congratulations. The Minster wrote to the school as a result of their achievements in the Year 1 Phonics Screening Check. 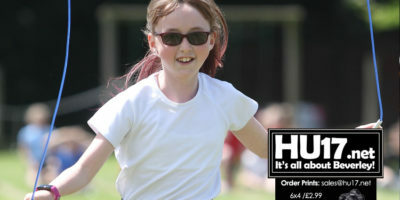 Photos featuring the pupils from St Mary’s Primary School in Beverley who competed in their annual sports day event. Parents, friends and family were invited into the school, lining the track adding to what was a fun packed afternoon on the school field. Members of staff at St Mary’s Primary School have raised over £2,000 for Cancer Research UK after they took part in the March incentive ‘Walk All Over Cancer’. In all twenty staff members, made up of teachers, teaching assistants, lunchtime supervisors and office staff participated under the team name ‘We’ll Never Walk Alone’. 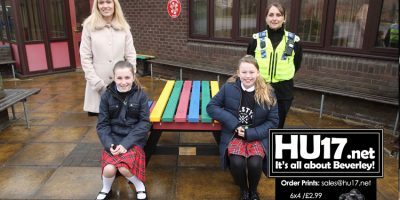 Two pupils at St Mary’s Primary School Poppy Kitchen and Florence Hewitt have delivered a talk to fellow pupils about their involvement with the Humberside Police Lifestyle Project. Poppy and Florence took part in the project during the summer holidays choosing to raise money to buy Friendship Benches for the school’s playground. 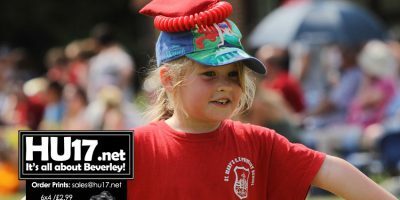 Photos from St Mary’s Primary School who hosted their annual sports day for Foundation, year 1 and year 2 pupils. 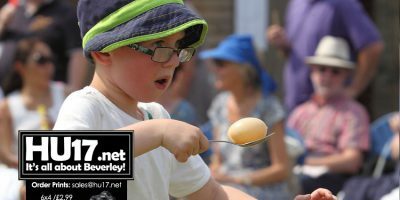 Pupils tackled a range of races that put their skills and perseverance to the test as they participated in activities like the egg and spoon race, the tricky balancing race, skipping and obstacle course. An Assessor from the South West Grid for Learning recently visited St Mary’s CE Primary School to review the school’s e-safety provision as part of the re-accreditation process for the E-Safety Mark. 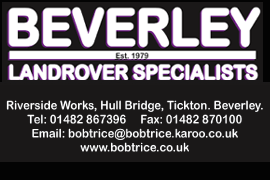 Good causes in Beverley have bagged a share of £11.7m thanks to the plastic bag levy. Pupils from St Mary’s Primary School in Beverley have this week performed a traditional nativity play for friends and family. 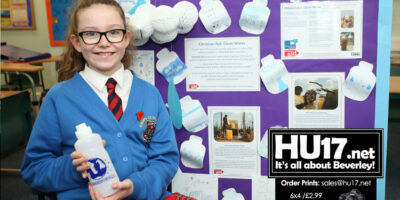 Pupils from St Mary’s primary school in Beverley made a sizeable donation to the charity Cash For Kids. 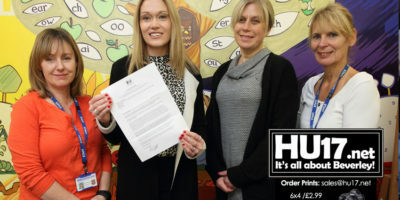 Pupils in primary schools across the East Riding will have lessons in healthy eating and physical activity – thanks to an innovative form of drama.